How is the co-working industry shaping up in India? Before we started business in 2015, there were business centres and there were co-working spaces. For business centre players like Regus, Vatika and Avanta the focus was primarily on corporate clients who wanted just in time spaces — basically anybody who needed from three to six months, 10 to 20 seats per month. These were priced at around Rs 25,000 or more per seat per month. Then you saw 3-4 co-working players that sprung up around 2015 and focussed on providing avenues for start-ups. Some of them were providing sub-standard but cost-effective infrastructure to start-ups priced between Rs 4,000 and Rs 5,000 per seat per month. That’s how the market was placed two years ago. 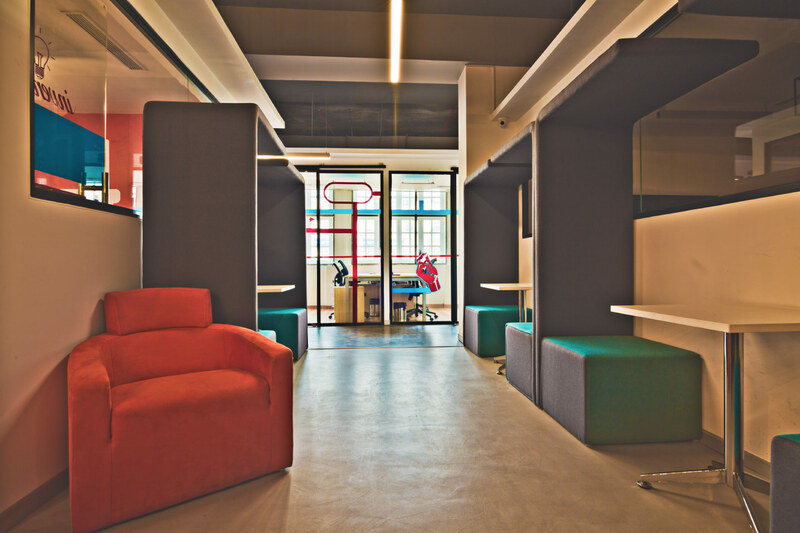 Today, we are witnessing a change with conventional office users moving into shared office infrastructure. The reality was that the euphoria on the co-working side was from the start-up community while the business centre euphoria came from the corporate side. Our sense was that the opportunity lies in the small and meduim enterprise (SME) sector as it is the most under tapped and lucrative audience. It has grown fastest over the past five to seven years. Nearly two lakh SMEs have registered between 1947 and 2011 and that number has now gone up five times to almost 11 lakh 5-6 years. SME’s realise that if you want to attract talent and offer good services to clients you cannot operate from gala spaces. People saw the SME side differently. What’s your approach to meeting the SME sector requirements? How has the market responded? Our focus from the begining was to create and offer a cost-effective, value driven workspace which you can use for one seat or 200 seats. You will be able to get it for a day to whatever duration based on the need. So we brought flexibility and transparency to the clients. Tapping into this growing market we grew and now have 7,500 seats as of date. Occupancy at our centres is very good at 85-90%. We see huge opportunity here because we are able to convert the conventional office guy into a business opportunity. There are some 500 million square feet of Grade A and B space that people are using in conventional offices which we could tap into. From a shared office perspective, the current number between business centre and co-working put together is 4%. And if you only look at that number there is tremendous opportunity because even 2% will end up being 10 million sq ft.
Secondly, by design, we chose to have 300 to 400 seats in one location and have 20 centres across the city. Our view is that places offering 2,000 to 3,000 seats are more like a campus set-up and not co-working where a community culture is witnessed. Business centres have existed but co-working is hot because it offers a community culture. You can do an analogy of any eco-system. Like in a chawl system everybody knows each other, but in an larger apartment or high-rise that has thousands of people you will not know everyone personally. Smaller spaces help to create more engagement. What are the growth drivers for your business? Mobility will become a part and parcel of how work gets done because of people moving for client meetings, site visits etc. When that happens we will be ready with 28 centres and 10,000 seats over the next 60 days. The target eventually is to get 35,000 seats across 100 centres. We will be the only player to offer co-working solutions within a 10 minute radius across key metros including Noida, Gurgaon, Delhi, Mumbai, Bangalore, Chennai, Pune, Kolkata, Hyderabad and Chennai. How have you priced the Awfis offerings? Flexi seat starts from Rs 3,500 per month that includes tea coffee, wireless internet and other office infrastructure like printing. The fixed seats are priced at Rs 8,000 to Rs 11,000 per month depending on the location. Cabin seats in the configuration of two, four, six and eight seats are available at Rs 9,000 to 14,000 per month, depending on the location. The average price per seat typically works around 10,000 which includes all amenities. How big is each centre? Are these on long-term lease? Our centres on rentable area basis are around 15,000 to 20,000 sq ft on an average. With regard to the lease agreement, we have done an interesting play on this. We started with 6-7 straight leases because the idea was to convince the landlords to partner but we had to demonstrate that this idea works. So to do that we started with straight leases. Today around 50% of our 20 odd centres follow what we call is managed aggregation model. Under managed aggregation, we have two models viz. joint venture wherein the landlord and Awfis both put in money. And depending on the proportion of capital contribution, the profits are shared between the two parties. Second one is managed franchise or ‘Manchize’ as we call it. The concept is akin to what Marriott does. We act as the management operator, so the landlord puts in the investment and pays for the operating expenses. We just charge a fee on the revenue and for bringing demand to the table and for managing the whole show for them. Going forward, about 70-75% would be in a managed aggregation model, which will be a combination of joint venture and manchise. The rest would be straight leases so about 25-30%. Is the business profitable? What kind of revenues are you doing? At the centre level, any unit that’s been open for over 90 days and running at 85-90% occupancy is profitable because a centre become profitable once it reaches 45% occupancy. So while most centres are profitable there are a few that aren’t performing as well as Delhi and Goa or Mumbai and Bangalore. That’s because they were opened by mid of April and haven’t reached the desired occupancy levels yet. I’m certain once they go beyond 90 days of operation, they will become profitable. In terms of revenues, without getting in to specific numbers, we have increased revenues between April 2016 to April 2017 by at least five times. And from where we stand today, we will again grow revenues by five times in the coming 12 months. The recent funds raised, will that help you reach 100 centres in the next 18 -24 months? The current money will allow us to reach about 25,000 odd seats, which will include the 7,500 that we have today. It’ll help us reach to about 70-80 centres but beyond that we will have to look at additional funding to reach our goal of 35,000 seats over 100 odd centres in the next 18-24 months.